Anyone able to determine what's included in fare? The site design is a little too hip for me. What is included in my voyage? Staying hydrated is a must for well-being at sea (and we prefer our Sailors feel their best), so enjoy any Basic Bevvies on us including water (still and sparkling, of course), non-pressed juice, soda, sachet tea and drip coffee if you need a boost. Since WiFi is as essential as water to us, count that in, too. Unique entertainment experiences taking place in The Red Room? Yup, that's also included. Plus, we'll cover restaurant dining, tips and group fitness classes, too! Thank you for the deck plans. Can't say I'm a fan. Yes they are "cool" and colorful, but they don't show any detail. Very much like the deck plans that AIDA produces. Still better than nothing, and lots of great cabin info. ERoller and Lloyd555 -- I just wanted to pop-in and say good-bye. These initial itineraries just don't work for us -- not to mention our disappointment in the take-out Trans-Atlantic not being released for sale to the public. But I have really enjoyed my time on this board, in large part due to the solid information and amazing pictures that the two of you have regularly posted, here. Thanks for everything, and happy sailing! So......after a few hours to digest the rates, the ports of call, the deck plans, i have a few comments. 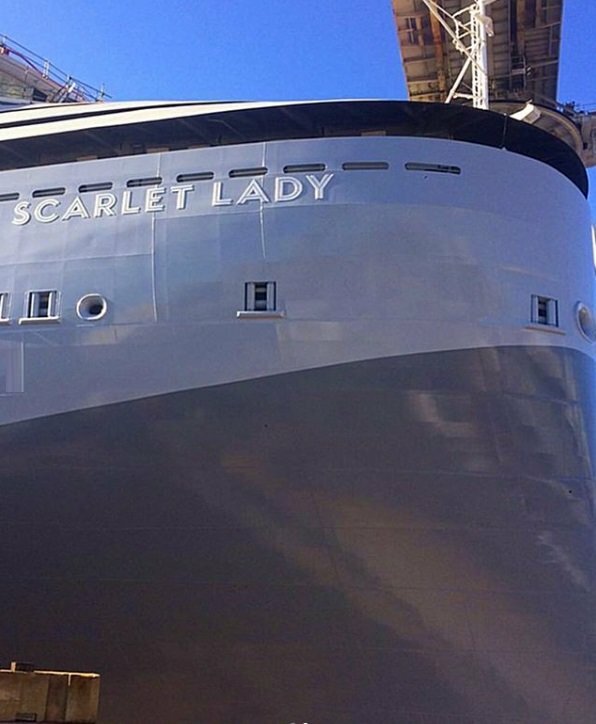 I am a big supporter of the concept and look forward to going on the Scarlet Lady at some point in the future. 1) I wish there was a 7 day option. Of course, one can always do a B2B. 2) Being a British based cruise company, I wish the ports of call were British destinations in the Carib, such as Tortola, BWI, or any of the unusual ports that every other cruise company does not go to. I have absolute no desire to go Costa Maya again. It was nice, but nothing special. 3) Obviously being a "party ship", which i have no problem with, I assume that the ports of call are based on appealing to that clientele. The "secret" destination......please dont tell me Key West!!! Is VV doing this because they dont have the approvals (or payment to authorities) to announce? Happy cruising to you! VV is definitely not for everyone. I share in your overall disappointment, but will still likely sail on them at some point, mainly because I like to experience new things. I am happy I canceled my initial deposit. I'm in no rush. The "secret" destination......please dont tell me Key West!!! Is VV doing this because they dont have the approvals (or payment to authorities) to announce? I'm with you on this. "Secret" generally creates high expectations, and if it ends up being Key West, or worse Freeport, then what a disappointment. I also feel VV has not finalized this "secret' destination because even they don't know it yet. 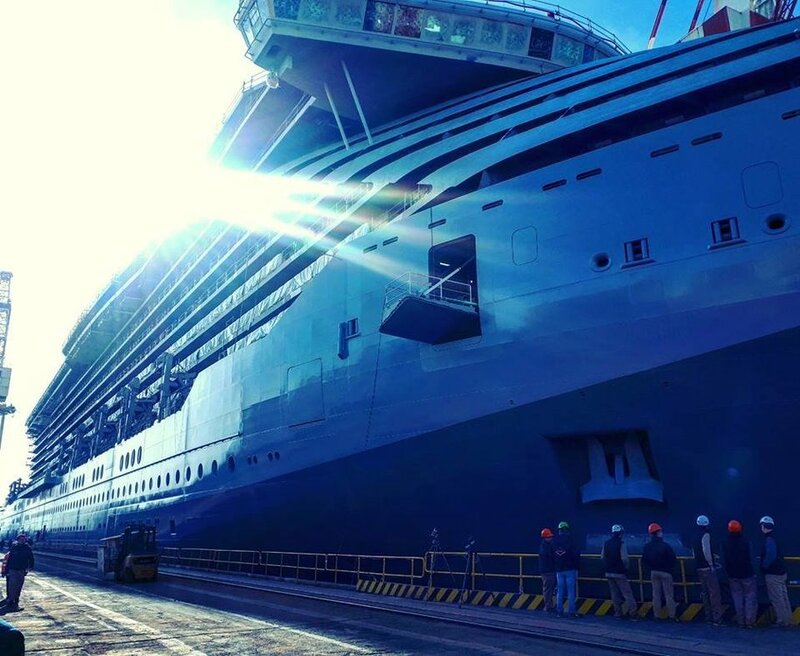 There is a lot of competition in the short cruise market out of Miami, by established players and they may be having difficulty securing dockage space. There are also only so many places you can go from Miami during a short cruise. The other possibility is that VV is negotiating with another cruise line to use their private out island for the day. I would actually welcome that. After reading through their website, the description of the secret destination does sound more like a private island than any of the established ports. 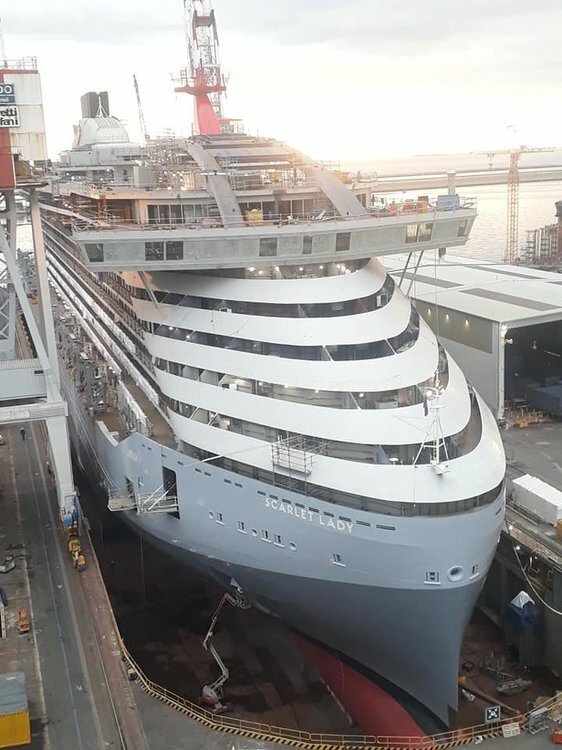 What remains to be seen is whether it's something they are developing on their own or are sharing with another cruise line. Considering they are sharing a terminal with MSC in Miami, it's also possible they could be stopping at MSC's new Ocean Cay in the Bahamas. The itineraries line up perfectly with gaps in the current port schedule. Perhaps they are waiting to make sure MSC doesn't push back its opening yet again before making it official. Edit: Upon further review, the Dominican Daze itinerary conflicts with existing stops at Ocean Cay, so that probably isn't it. Not enough time to develop their own island. I do have this feeling they are negotiating with another cruise line to use their island. Could be MSC's new island or one from another cruise line. I don't think they have any special affinity for MSC even though they will share the same terminal for a while. That was probably more an agreement with PortMiami and available terminal space than anything having to do with MSC. MSC will actually build two new terminals of their own at PortMiami. They are expanding there in a big way. Besides MSC, Carnival is developing its own private beach on Grand Bahama island. Disney is also looking to develop a second private beach experience on the island of Eleuthera in the Bahamas. Virgin could be looking at using one of those, if space permits and they are finished in time. Honestly, I thought the prices were going to be 50% more... that being said the itineraries are shorter. Where can I find out about prices? Do I have to call the number on the e-mail? All pricing is posted on their website. Just go to the VV homepage, click "Explore" in the top right, and find the date you're interested in. You do can pretty much everything but make the actual booking. That is coming on Feb 14. You may want to check your web browser. I just had a look two seconds ago and no issues. All the prices, dates, and cabin categories are listed. 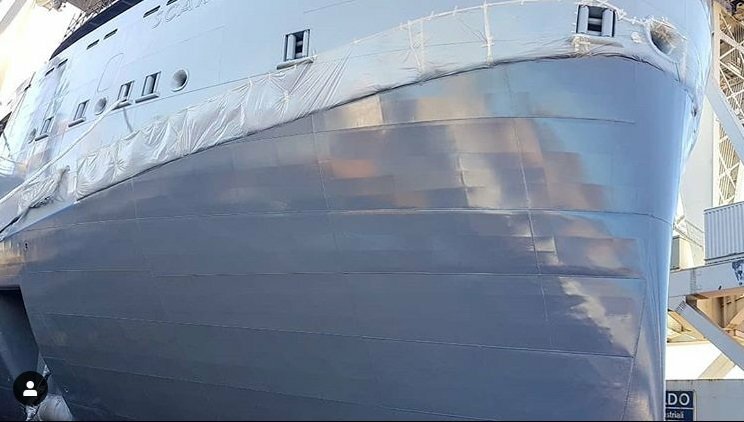 Hull getting a paint job means she can be put in water soon. The steel cutting for the next ship should be coming up. The float-out is scheduled for this weekend ... big milestone! The steelwork for ship 2 has been underway since last July. 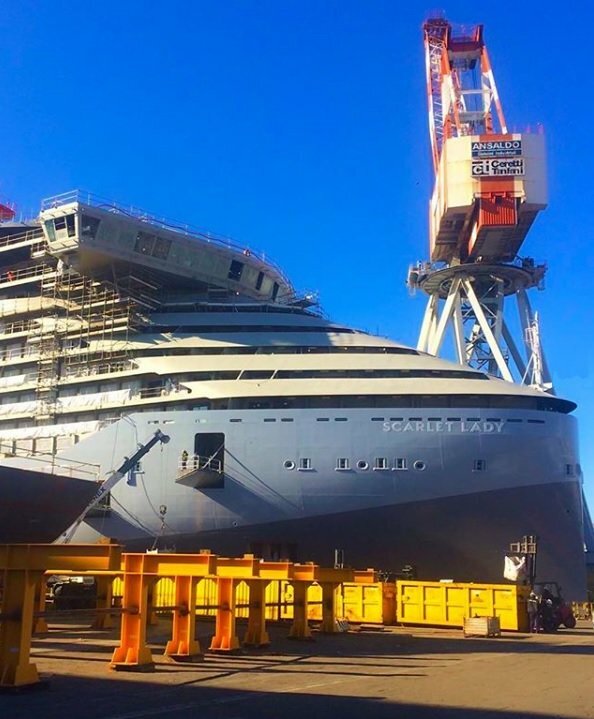 Different sections of the ship are built in other shipyards before being joined together in Genoa. I still don't understand how the two new ships I have booked for 2020, Celebrity Apex and Scarlet Lady, both have their inaugural voyages the same week, yet Celebrity Apex is at roughly the same stage of construction as Virgin ship #2 that doesn't arrive until a year later. 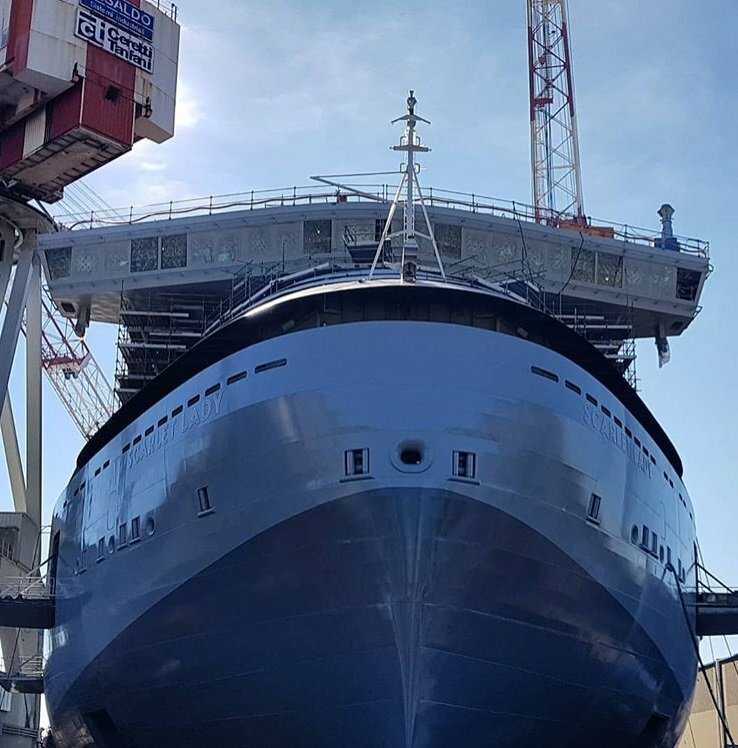 Is Italy just that much slower at building ships than France, or do they have 6 months or so of final testing and training runs built into the schedule? President and CEO Tom McAlpin has just set off on what he called a 'whirlwind tour'—but, given that his company is Virgin Voyages, it's more like a rock star tour. 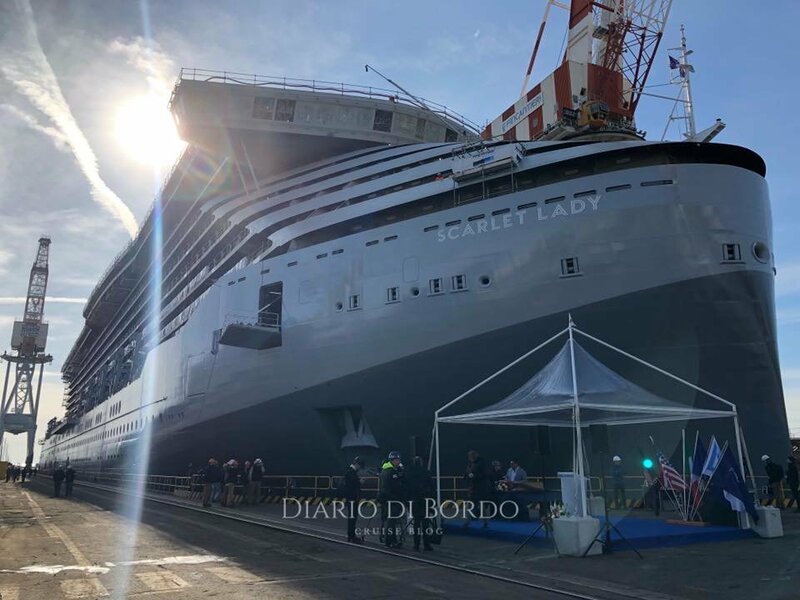 McAlpin is at Fincantieri's Sestri Ponente shipyard for the float-out of Scarlet Lady and media tours of the ship on Saturday. He'll then pop over to London for a media lunch and a 'captain's table' dinner with 'first mates' (Virgin's travel agent partners). From there, it's on to Montréal for last look at the shows planned for the ship before they go into production. The tour culminates in New York on Valentine's Day when bookings open to the general public (priority bookings recently opened to 'sailors' who plunked down a $500 deposit when pre-sales opened in October 2017). A panel discussion in a spectacular venue—One World Observatory on the 102nd floor of the World Travel Center—will reveal more details about Scarlet Lady's on-board experience and an additional destination to be featured on all voyages. 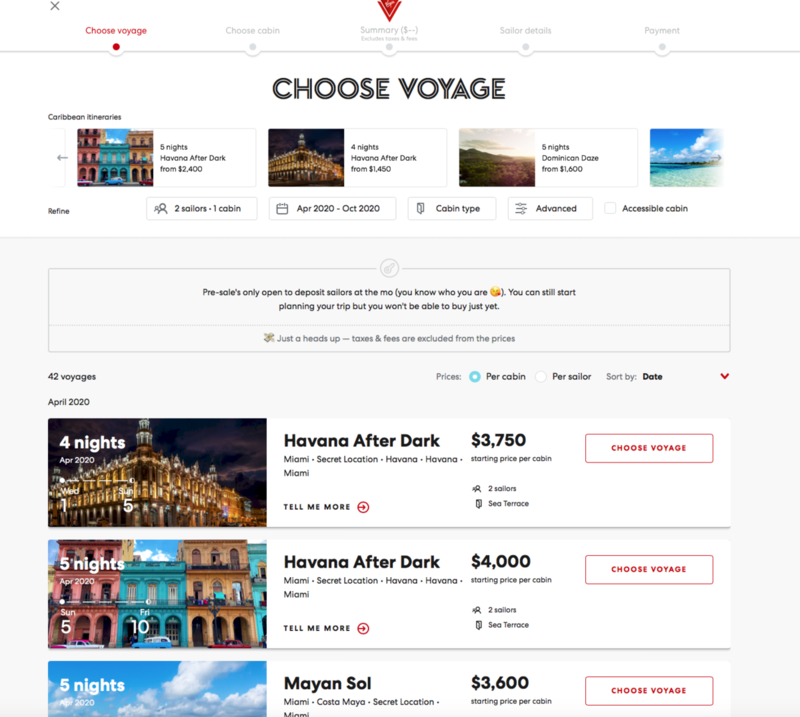 So far, Virgin has announced itineraries calling at Havana, Cuba; Costa Maya, Mexico; and Puerto Plata, Dominican Republic. Some new photos from today. Looks like February 14 will be another reveal (I'm guessing entertainment as there is not much left), and also we will discover the "secret destination". Could the secrete destination be Necker Island?